New Christmas-Themed Mysteries for 2015! Once I started doing some research, it didn't take me long to realize that November has a bumper crop of excellent new crime fiction. 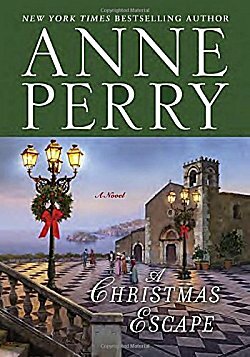 Whether buying for yourself or other book lovers, here are my picks for the top Christmas-themed mysteries. There's a good range for almost any taste from vintage to present day. Just so you know, following this post will be my regular one with more New Mystery Goodness! All the books are grouped by release date and have the information you'll need to find them at all your favorite book procurement locations. Synopses are courtesy of Amazon. Happy Reading! Synopsis: "Aunt Mildred declared that no good could come of the Melbury family Christmas gatherings at their country residence Flaxmere. 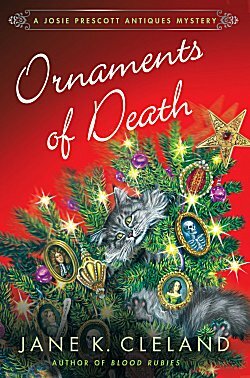 So when Sir Osmond Melbury, the family patriarch, is discovered – by a guest dressed as Santa Klaus – with a bullet in his head on Christmas Day, the festivities are plunged into chaos. Nearly every member of the party stands to reap some sort of benefit from Sir Osmond’s death, but Santa Klaus, the one person who seems to have every opportunity to fire the shot, has no apparent motive. Various members of the family have their private suspicions about the identity of the murderer, and the Chief Constable of Haulmshire, who begins his investigations by saying that he knows the family too well and that is his difficulty, wishes before long that he understood them better. In the midst of mistrust, suspicion, and hatred, it emerges that there was not one Santa Klaus, but two. 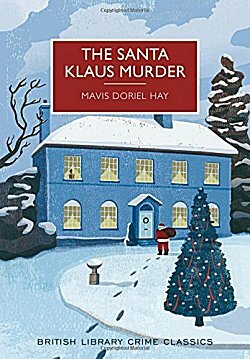 The Santa Klaus Murder is a classic country-house mystery that was rediscovered by the British Library and became one of the first novels in the Crime Classics series." 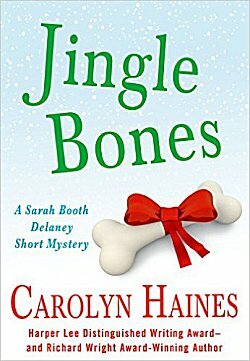 Synopsis: "Jingle Bones, an e-original Christmas story featuring Mississippi PI Sarah Booth Delaney, offers all the Southern charm and zany adventure Carolyn Haines's fans have come to expect--and more. Sarah Booth just wants the perfect Christmas holiday. Even with the dissolution of her engagement, she refuses to lose her Christmas spirit. But when Theodora Prince--an ex classmate and current Pastor's wife--comes calling with a year-old case and cash upfront, Sarah Booth must find the truth about the boys who ruined last year's Christmas pageant in time to stop them from doing it again." When they arrive at the Turnbull’s, Peg is not just surprised by how much Melanie has grown up. The family has spared no expense in preparing for the festivities—unusual, considering Michael blew his inheritance after years of financial troubles. Peg suspects there’s an awful secret tucked beneath her brother-in-law’s ostentatious good cheer, and she’s determined to get to the bottom of it. Once she does, someone’s ending up in the doghouse…"
The Christmas Bazaar is Howard Academy’s biggest and most important fundraiser, so Melanie feels the pressure to make it a huge success. She even enlists her longsuffering sister-in-law Bertie to help with the Santa Claus and Pets Photo Booth. 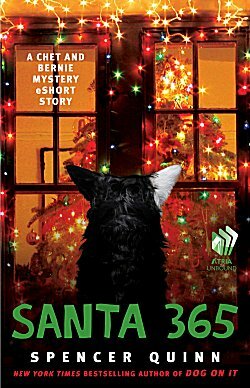 But everything goes awry when a prize show dog goes missing and Santa turns up dead. The dog’s owner is one of the school’s most perfectly pedigreed alums, and she enlists Melanie to help find the purloined pooch. 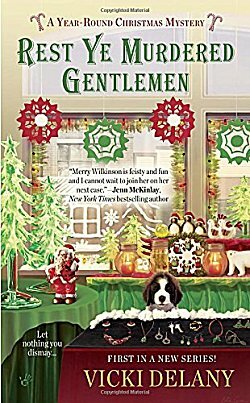 But just as Melanie starts pawing at the truth, she digs up a sleighful of sinister secrets that leaves everyone feeling less than merry…"
Synopsis: "Queensville has great expectations for their Dickens Days festival. A tourist-trade boon boom means a big turnout for the opening of Queensville Historic Manor and for Jaymie Leighton, food columnist and vintage cookware collector, a chance to promote the manor and give away homemade goodies. At the end of a long day of festival fun, Jaymie discovers the battered body of local woman Shelby Fretter. Shelby predicted her own murder in journal entries—and all clues point to Cody Wainwright, the troubled son of Jaymie’s beleaguered newspaper editor. But considering the entire Fretter family had its share of dirty secrets, Jaymie’s not convinced by the case against Cody. 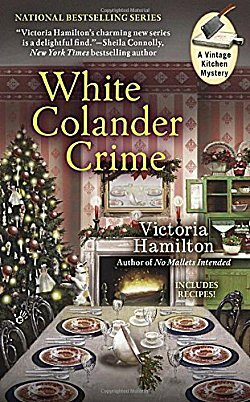 With twists all over, she’s going to have to work like the Dickens to wrap up this investigation before Christmas—especially with the real killer ready to kill again." Synopsis: "‘Tis the season in Weatherford, Texas, and everyone in town is gearing up for the annual holiday parade and tree-lighting ceremony in the town square, where Phyllis Newsom will be serving her much-anticipated candy cane cupcakes. Local rancher Barney McCrory manages to charm one away from her before the ceremony begins. But unfortunately, when the minty confection is finished, so is he. This isn’t the first time someone has dropped dead after eating one of Phyllis’s treats. But when the paramedics determine the rancher was shot, suspicion swiftly falls on McCrory’s daughter and her husband—who both stand to reap some sweet rewards from his death. Though Phyllis doesn’t want to get mixed up in another murder investigation, something about this case doesn’t sit right with her. With a little help from a tabloid TV news crew, Phyllis must unwrap the truth and restore good cheer to Weatherford before it’s too late…"
Synopsis: "As the owner of Mrs. Claus’s Treasures, Merry Wilkinson knows how to decorate homes for the holidays. That’s why she thinks her float in the semi-annual Santa Claus parade is a shoe-in for best in show. But when the tractor pulling Merry’s float is sabotaged, she has to face facts: there’s a Scrooge in Christmas Town. Merry isn’t ready to point fingers, especially with a journalist in town writing a puff piece about Rudolph’s Christmas spirit. 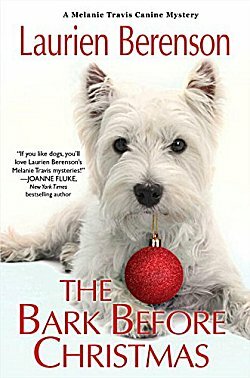 But when she stumbles upon the reporter’s body on a late night dog walk—and police suspect he was poisoned by a gingerbread cookie crafted by her best friend, Vicky—Merry will have to put down the jingle bells and figure out who’s really been grinching about town, before Vicky ends up on Santa’s naughty list…"
Synopsis: "Christmas is a mysterious, as well as magical, time of year. Strange things can happen, and this helps to explain the hallowed tradition of telling ghost stories around the fireside as the year draws to a close. Christmas tales of crime and detection have a similar appeal. When television becomes tiresome, and party games pall, the prospect of curling up in the warm with a good mystery is enticing – and much better for the digestion than yet another helping of plum pudding. 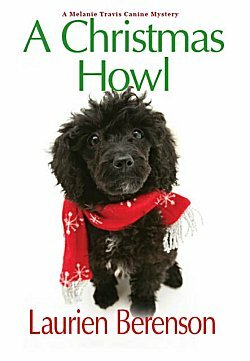 This book introduces of readers to some of the finest Christmas detective stories of the past. 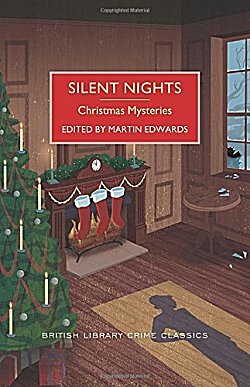 Martin Edwards’ selection blends festive pieces from much-loved authors with one or two stories which are likely to be unfamiliar even to diehard mystery fans. The result is a collection of crime fiction to savor, whatever the season." Synopsis: "Lonely Charles Latterly arrives at his small hotel hoping that the island’s blue skies and gentle breezes will brighten his spirits. Unfortunately, there’s no holiday cheer to be found among his fellow guests, who include a pompous novelist, a stuffy colonel, a dangerously ill-matched married couple, and an ailing old man. The one charming exception is orphaned teenager Candace Finbar, who takes Charles under her wing and introduces him to the island’s beauty. But the tranquility of the holiday is swiftly disrupted by a violent quarrel, an unpleasant gentleman’s shocking claims of being stalked, and the ominous stirrings of the local volcano. Then events take an even darker turn: A body is found, and Charles quickly realizes that the killer must be among the group of guests." Synopsis: "Santa doesn’t just deliver gifts—he takes them too!—in this delightful holiday e-short featuring New York Times bestselling sleuths Chet and Bernie. He sees you when you’re sleeping. He knows when you’re awake. This year, jolly old St. Nick knows Bernie has been sleeping on preparations for a special Christmas celebration with his son Charlie. Enter Plumpy Napoleon, fresh from a short stint in prison, to save Bernie from the naughty list. Plumpy calls his latest business plan “Santa 365.” For a small fee (that only gets bigger), he’ll fill your life with holiday cheer, including elves, a festive party, gifts, and even a Christmas tree delivered right to your front door. Bernie signs on for the full yuletide experience. But after the blowout holiday bash, Bernie and Chet the dog discover one of Santa’s helpers helped himself to more than Christmas candy. The intrepid duo sets out to find the sticky-fingered perp and reclaim the stolen goods. 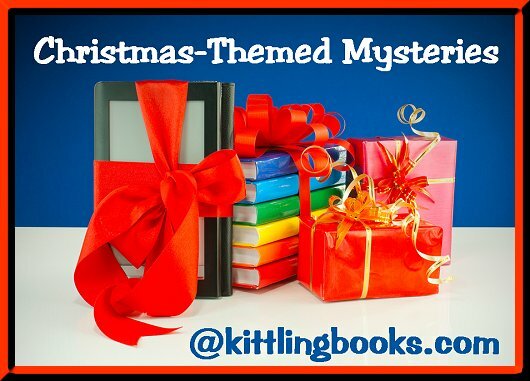 Add in a surprise visit from Bernie’s mom, two elderly sisters seeking their own brand of justice, and an elf with a stocking full of secrets, and you have a Christmas mystery that only Chet and Bernie could possibly unwrap." Synopsis: "Christmas lights twinkle throughout the cozy coastal town of Rocky Point, New Hampshire, and Prescott's Antiques auction venue has been transformed into a winter wonderland for Josie Prescott's annual holiday party. Josie is especially excited this year-Ian Bennington, a recently discovered distant relative, will be joining the fun. Both Ian and Josie are, it seems, descended from Arabella Churchill, a 17th century royal mistress. The party is a success and Ian is a hit. It gives Josie an unexpected thrill to have family-and unexpected dread when he vanishes. Ian doesn't keep his dinner date with Josie's good friend, Lavinia, or his lunch date with her. Surely, he would have done so-if he could. Ian has given his daughter two priceless 17th century watercolor miniature portraits, one of Arabella and one of her lover, King James II, and they've gone missing, too. Knowing that after her nasty divorce, Lavinia is facing financial ruin, Josie can't help wondering if her friend is behind the theft-and Ian's disappearance. Determined to find Ian, Josie uses her knowledge of antiques to track the miniatures. In doing so, she learns the true meaning of Christmas-and the true meaning of family." But then Queen Elizabeth receives a most unwanted gift—an anonymous letter that threatens to reveal untoward advances from her beloved Queen Catherine’s last husband, Thomas Seymour. 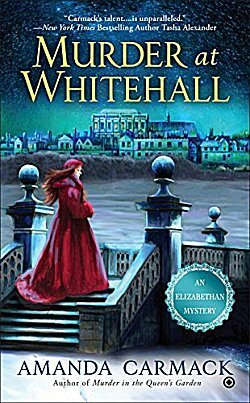 Tasked with finding the extortionist, Kate has barely begun investigating when one of Spain’s visiting lords is found murdered. 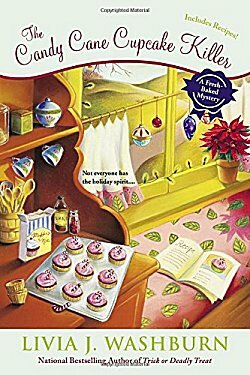 With two mysteries to unravel and an unsettling number of suspects to consider, Kate finds herself caught between an unscrupulous blackmailer and a cold-blooded killer...."
Synopsis: "It’s that time of the year again—the Christmas rush is about to begin, and curio shop owner Camryn Brooks and her BFF, coffee shop owner Alice “Pinky” Nelson, need to hire additional help. Their former high-school classmate, Molly Dalton, is not exactly who they had in mind. Has the rich socialite worked a day in her life? But Molly practically begs for the job. On her first day, Molly seems to be in her own little world, and Cami worries that her new employee may flake out. The problem turns out to be far worse than that when Cami discovers Molly dead in the back of the shop, after drinking a poisoned cup of coffee. 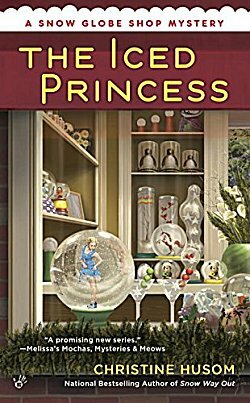 Soon there is an avalanche of suspects as Cami starts shoveling through the clues—including a shattered snow globe of Marilyn Monroe. Now Cami will have to venture out of her safety zone before the pathological poisoner stirs up more trouble..."
Well, these should satisfy your cravings for holiday murder and mayhem. I know I'm looking forward to reading a few of them myself! Did any of them get added to your wish lists? Which ones? You know inquiring minds would love to know! And I've never been to any of these things either. I've just read about them. Not sure if the book room has authors signing or if it's just books for sale. Both maybe? Lesa would know.